President Obama’s recent announcement that the U.S. government will offer $8 billion in federal loan guarantees for the first new nuclear plant in the country in 30 years upset clean energy advocates for a number of reasons. One of the biggest problems: all that radioactive waste. Now GE Hitachi Nuclear Energy, one of the world’s biggest suppliers of nuclear reactors, claims that it can safely turn nuclear waste into fuel. Goodbye, Yucca Mountain. GE’s process separates nuclear waste into three streams: waste material that needs to be stored underground for a few hundred years (vs. thousands of years for standard nuclear waste), uranium that can be used in deuterium uranium reactors, and a mixture of transuranic elements (plutonium and neptunium) that can be used as fuel in nuclear reactors that use molten sodium as a coolant. In the past, the idea of repurposing nuclear waste into fuel has been criticized because of the potential for terrorists to steal the pure plutonium produced as part of the process and use it for nuclear weapons. But GE Hitachi’s fuel is difficult to steal because the plutonium isn’t separated from other elements, making it difficult to detect. The fuel is far from perfect — deuterium uranium reactors are only found in Canada and molten sodium-cooled reactors haven’t yet been approved in the U.S. — but if the Obama administration is serious about bringing even more nuclear power plants into the world, it might want to look into GE Hitachi‘s process. I was born near the Hanford Nuclear Reservation in Washington State over 65 years ago. I grew up Nuclear. I can drive to a \"Test\" reactor out there known as F.F.T.F (Fast Flux Test Facility) that was shut down some time ago. 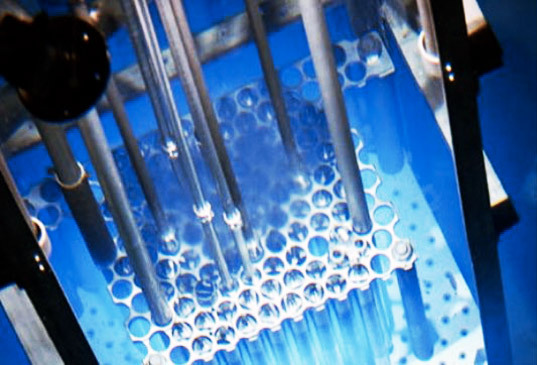 It used liquid sodium to cool the reactor core. Could you please explain what you mean when you say that, \"Sodium cooled reactors haven\'t yet been approved in the U.S.\"??? User Gravatar nv4cfe Says "Isn’t it about time to move forward and realize the enormous potential of nuclear energy?" Isn't it time to realize the problem isn't the need for a large energy source, but the constantly growing human population and the fact that no matter the new energy sources found a growing population limits any advantages.. time to move to a stable state world. We see how well the nuclear nonproliferation act is stopping proliferation and how well NIMBY'ism is keeping down energy prices and carbon emissions. 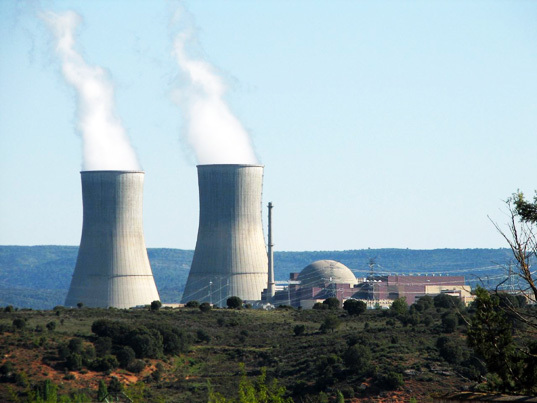 Isn't it about time to move forward and realize the enormous potential of nuclear energy? The savings and environmental benefits will overwhelmingly offset the costs of waste management. it's not nimbyism but the nuclear nonproliferation act that keeps us from reprocessing. President Obama's recent announcement that the U.S. government will offer $8 billion in federal loan guarantees for the first new nuclear plant in the country in 30 years upset clean energy advocates for a number of reasons. One of the biggest problems: all that radioactive waste. Now GE Hitachi Nuclear Energy, one of the world's biggest suppliers of nuclear reactors, claims that it can safely turn nuclear waste into fuel. Goodbye, Yucca Mountain.